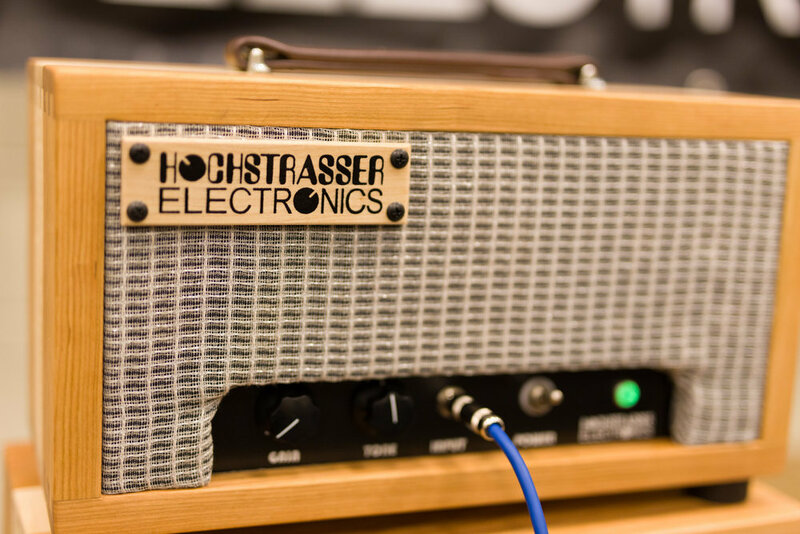 When it comes to your pedalboard or amplifier, a custom-made piece of gear can often suit your needs better than something off the shelf. Additionally, it can allow your personality to shine through your rig on stage or in the studio in a way that a mass-produced device cannot. 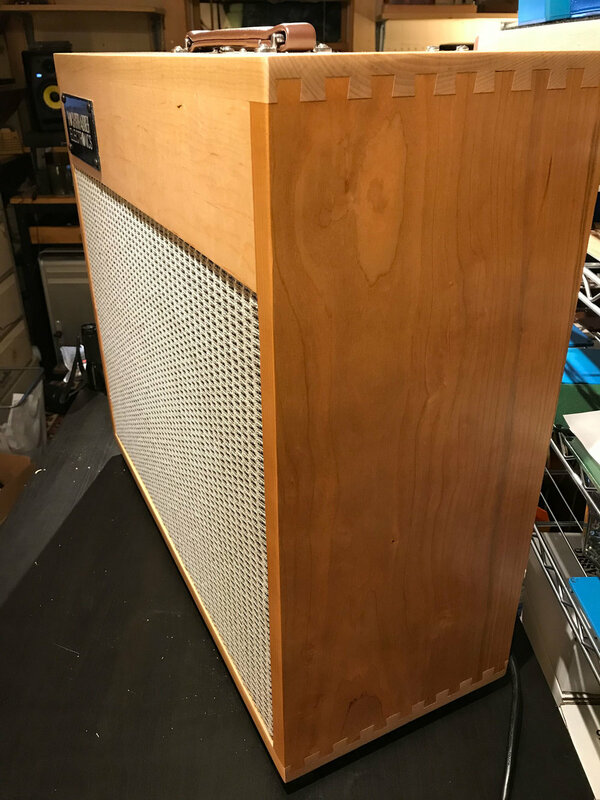 Customized tube amps begin with a dialogue around which flavor of classic design we’ll use as a jumping off point and then developing features and mods from there. We tend to specialize in designs that are considered lower power (20 Watts and under) and usually as single channel units. We'll work together when developing control panel graphics and choosing the species of wood that aligns with your tastes before we begin construction. 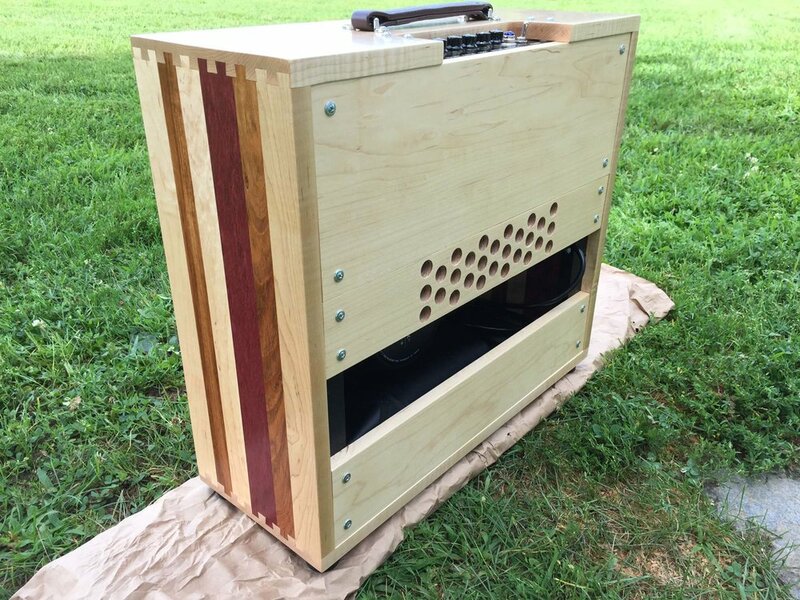 Typical lead time for a custom amp is 4-6 weeks with a base cost of $2,200. Prices will vary depending on features, size, and other design choices. 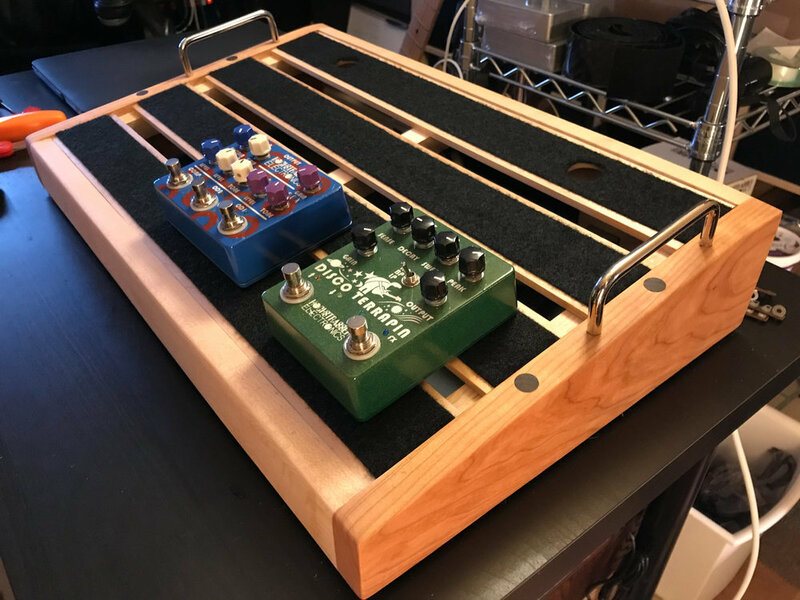 As we run a small wood shop to craft our amplifier cabinets, we build custom pedalboards as well. 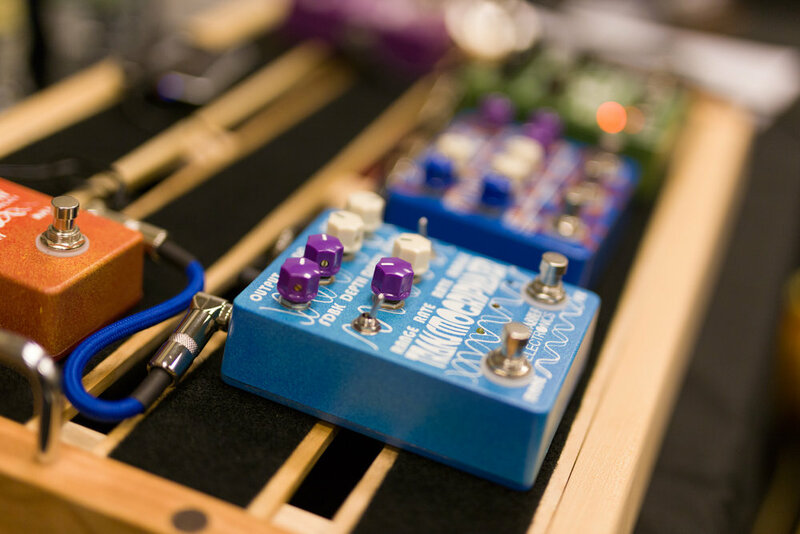 We can go as large or as small as you need and will work with you to make sure your power supply and pedals will fit comfortably into your board. 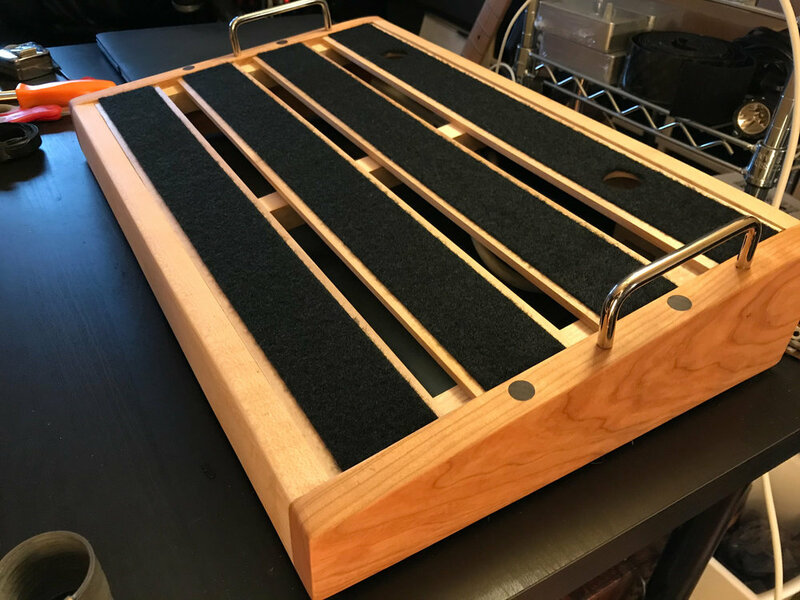 While we do not manufacture cases for pedalboards, we can tailor your design to fit into commonly available hard or soft cases on the market. 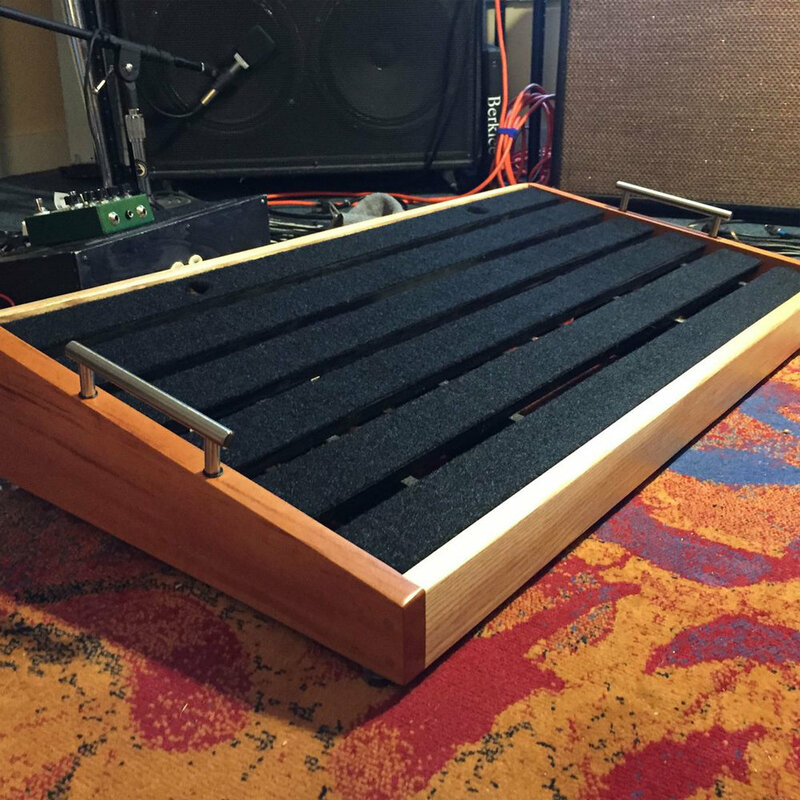 Typical lead time for pedalboards is 3-4 weeks with a base cost of $200. Prices will vary depending on size and the species of wood used. 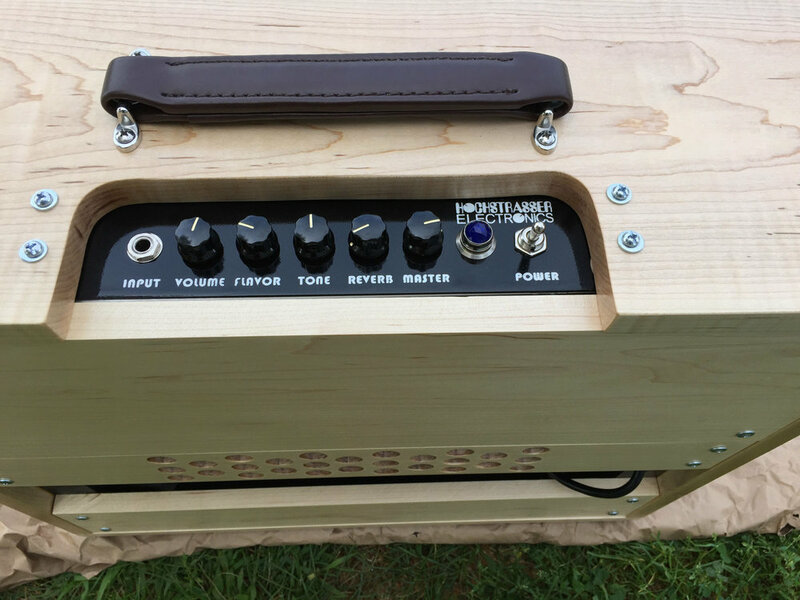 Custom pedals are offered on a case-by-case basis. As pedal circuits must fit into a relatively small enclosure it can be cost-prohibitive to create a single-use design from the ground up as PCB layout and fabrication can be costly and time-consuming. However, we can generally find a solution, so please do not hesitate to contact us with inquiries or ideas. We can also mod existing pedals and designs to your liking. 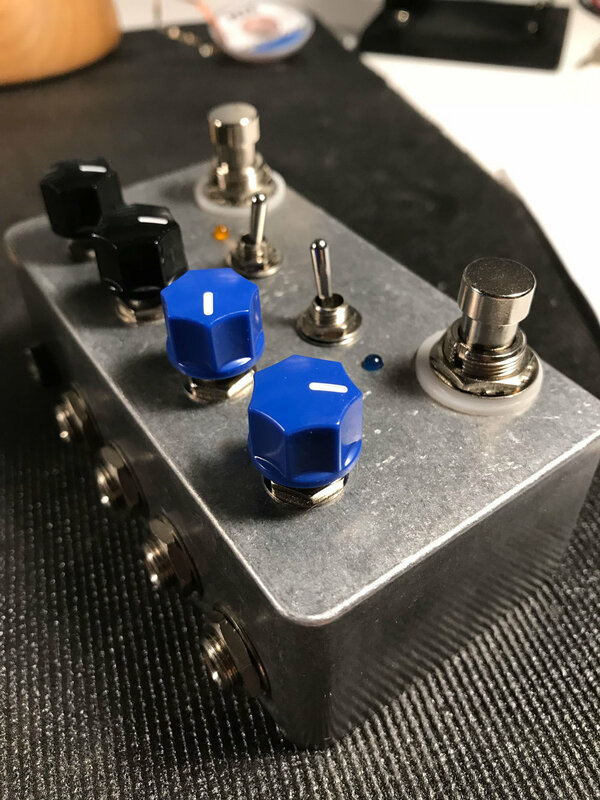 As we do have the capability to drill enclosures and do single color screen printing, we offer rehousing services for pedals that may need a graphic design update or a conversion to top-mounted connections.